About a month ago, we were lucky enough to take a weekend away from Cape Town and decided on the charming coastal town of Pringle Bay. 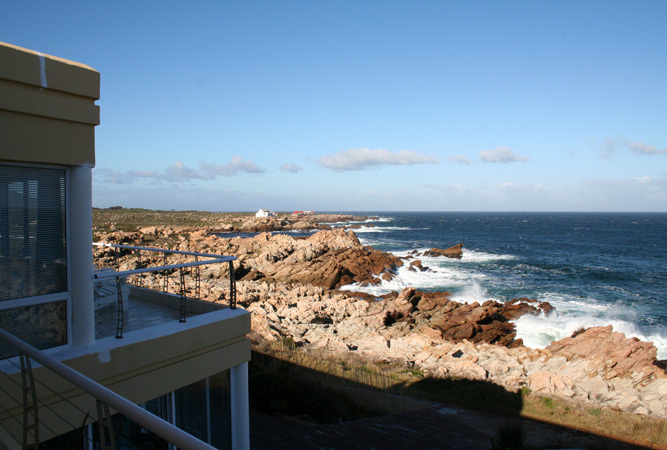 Apart from the fact that it rained virtually all weekend, Pringle Bay most ably managed to live up to its reputation as one of the more popular holiday towns on the Cape Whale Route. 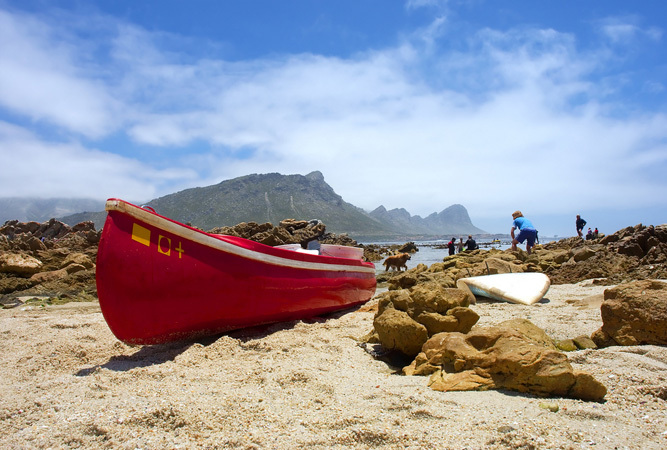 A conservancy village, Pringle Bay lies on the Whale Coast at the foot of the rather unique Hangklip Mountain, after which the coastline turns abruptly north into Stony Bay. One might be only 80 kilometres from Cape Town, but the laidback lifestyle of ‘shorts and t-shirts’ (or the winter equivalent thereof) immediately grabs one, as if by osmosis, and being presentable is quite forgotten in the face of beautiful rocky shores, a pretty beach and a rather eclectic collection of houses that undoubtedly represents the diversity of the individuals that make Pringle Bay their home. Residents here are mostly retirees and those from Gauteng and Cape Town who have bought second homes, but there is a fair collection of young professionals prepared to make the commute to either Somerset West or Cape Town, and a smattering of artists. If you can, take the incredibly beautiful Clarence Drive – the views rival those of Chapman’s Peak Drive but it’s always open! 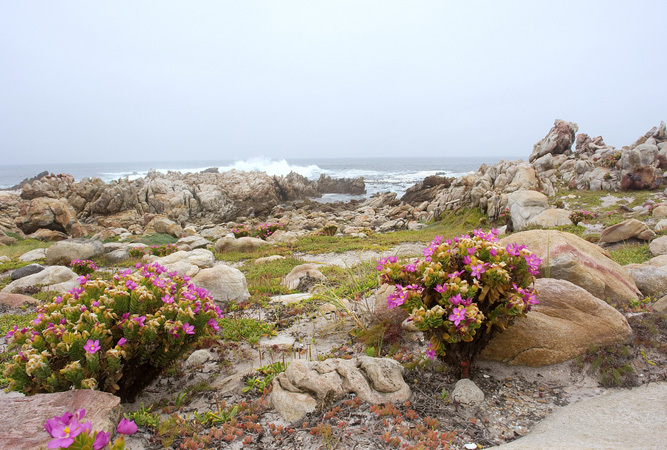 It’s officially known as the Biosphere Coastal Clarence Drive or R44 that links Gordons Bay to Kleinmond, passing Rooiels, Pringle Bay and Betty’s Bay along a steep road carved from the rocky sea cliffs. 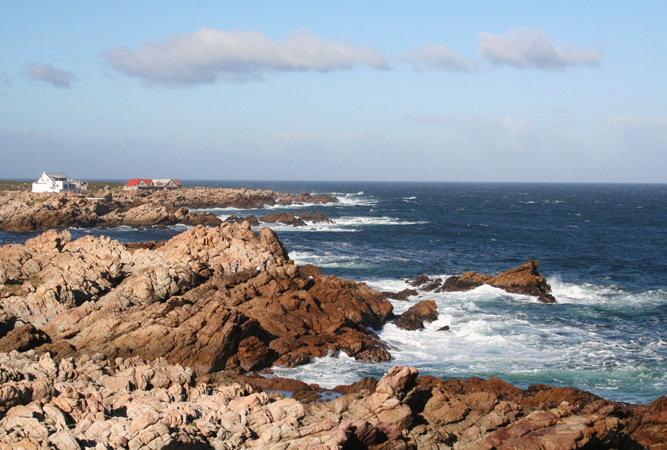 The town falls on the famous Cape Whale Route and during whale season it gets rather busy, although not nearly so much as towns a little further up the coast such as Hermanus, which is why Pringle Bay has managed to retain its individuality. There is virtually no traffic to speak of, and buck and baboons walk around without a care in the world. It’s safe for children and crime is virtually non-existent. Villa Marine Guest House, where we stayed, was but a stone’s throw from the sea with a deck that allows you to watch spectacular sunsets (not that we witnessed any, given the torrent of water with which the heavens parted on this particular weekend). We favoured the bedroom for most of the deluge and were more than grateful for the underfloor heating, the gas fireplace and well stocked bar fridge, though the views from the room were pretty spectacular. 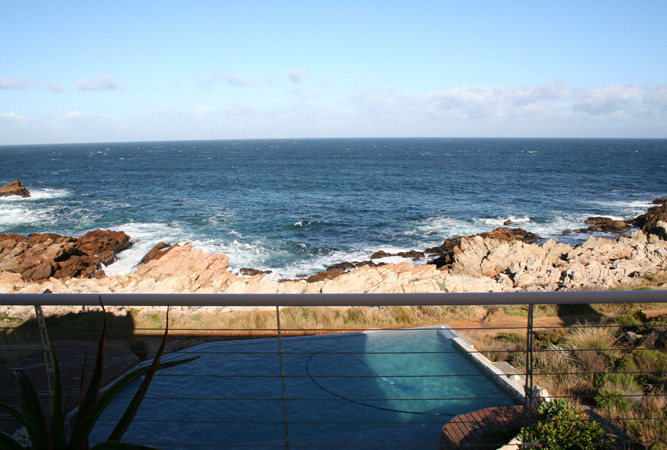 Eben and Susan were incredibly welcoming and made sure we lacked for nothing – who could when surrounded by such luxury? But we did manage to get out and there are a couple of pointers to those coming to stay in Pringle Bay. If you’re after a good cup of coffee, infact one of the best we’ve ever had, then make time for stop off at Simply Coffee. We’re particularly fussy when it comes to good coffee and I was a little dubious when friends of ours mentioned this little gem set in the Pringle Mingle courtyard. The coffee here is so scrummy that they have another business on the side, selling the beans they get in from a specialist in Kuils River. This is one of the best drives for whale spotting, there are a number of places at which you can stop and look down onto the waves below. The drive meanders through the Kogelberg Biosphere, the first and only biosphere in South Africa to be proclaimed by UNESCO, which only emphasises the beauty of the drive. The local deli, Lemon & Lime, stock everything from homemade cakes to imported olive oils, and their milk tartlets and lemon meringue are out of this world (I know, we stopped more than once to tempt our taste buds for coffee, but what can you do when you’re spoilt for choice?). @365 Bistro is a ‘must’, if you can. Set on the village square, the menu is something else and the dining simply outstanding. The owners are very hands-on with Sammy at front-of-house, who explained the menu and specials to us, and Morné, the master chef. Morné was kind enough to give me the recipe for his Thai Salsa. Specials were outstanding, we tried the mussel soup / chowder and the Seared Tuna with Thai Salsa, but the “standard” menu was superb. Try the marinated duck, the mushrooms en-croute or, to be honest, absolutely anything that appeals to you on the night. All dishes are good vaue for money and sure to please. We were tempted by Sammy to try the desserts after our first two courses and we were not disappointed. The Amarula Creme Brulee and Toffee Apple Sponge were a sweet ending to a delicious meal. @365 cannot be recommended enough. Booking advised, they are very busy. Hook, Line & Sinker is another restaurant that comes highly recommended, and one at which we wanted to dine but couldn’t as they were fully booked on the night (I believe you’re quite fortunate if you can find a table over weekends, so get your table booked ahead of time). Hand picked fresh line fish is prepared over an open fire by chefs Stefan and Jacqui, which is not only fascinating to watch but a treat to eat. The menu is seasonal and dependent on available seafood but on any given day expect to eat a mixed platter which includes something like seared tuna marinated in ginger, limejuice and coriander, Cajun grilled clamari, fried monkfish and green peppercorn sauce and wild Mozambique prawns.